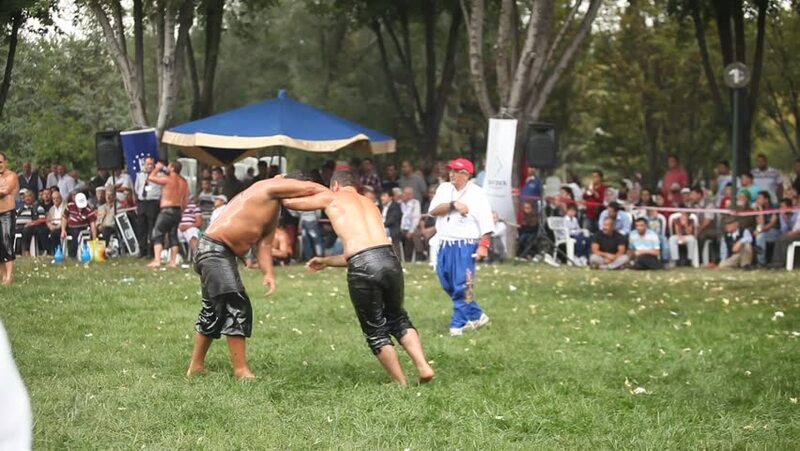 BURSA, TURKEY- MAY,2015: Two Turkish wrestlers, wrestle in a greased wrestling event. 4k00:37KAMCHATKA PENINSULA, RUSSIAN FAR EAST - 25 AUGUST, 2018: Young woman in national clothing aboriginal of Kamchatka performs expression traditional dance called The Seagull. hd00:20CLARENS, FREE STATE, SOUTH AFRICA - 28TH FEBRUARY 2015: People gather at a tent to collect tokens for the Clarens Craft Beer Festival. The tokens are exchanged for food and drink.